Discussion in 'Cars in General' started by GTPNewsWire, Nov 30, 2018. This article was published by Andrew Evans (@Famine) on November 30th, 2018 in the Cars category. Was eyeing this vehicle (likely the old one) as a rental vehicle next year. @Famine Would you not recommend? Depends where you're going. Not a road = hell yes; A road = really not. One theory is that it's a case of a mistranslation. The Suzuki top brass were in England or Scotland or something like that and heard the word "Jimmy". Apparently, it didn't translate correctly and ended up being "Jimny". The other theory comes from its chassis (LJ) codename which is Gemini. 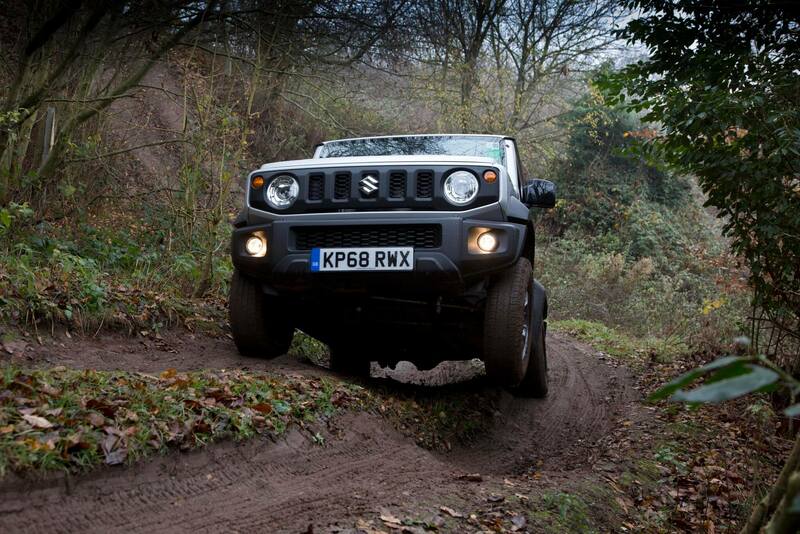 Apparently, that got lost in translation too and worked out to be "Jimny". Not sure which, or if either is correct. But it sounds plausible. bloodyboyblue and Jordan like this. Kei and monster in the same sentence,that's a first. Almost every article I write has a Googlewhack or at least a key phrase in it. Helps to find out where else it gets posted. Turbo and Jordan like this. Im just upset we are not getting this in the US. I just realized after all this time that the car is called the Jimny and not the Jimmy. Oh my god. Edit: Never mind, I was thinking of the GMC Jimmy and not this. Kind of wish they sold these over here. Imagine if they made a 6X6 version. I don’t imagine they’d sell in North America unless they were WELL under $20k. Which wouldn’t happen. Most people would be scared to drive them anywhere, since this isn’t the 80’s anymore. A lot of people would remember the last time they tried selling the Jimny here (as the Samurai), when the vehicle was more likely to be on 2 or 0 wheels than 4. The few surviving examples do have a cult following still though. If someone made a modern version of the original Vitara/Sidekick/Tracker it might be a hit though. Slightly bigger than this but still much smaller than a Wrangler.